this is actually a church called pastoor van ars but it’s hard to say that if you haven’t seen the cross on the façade. unlike the usual ones, you can’t see sculptures, intricate motifs or ornate ceilings inside. 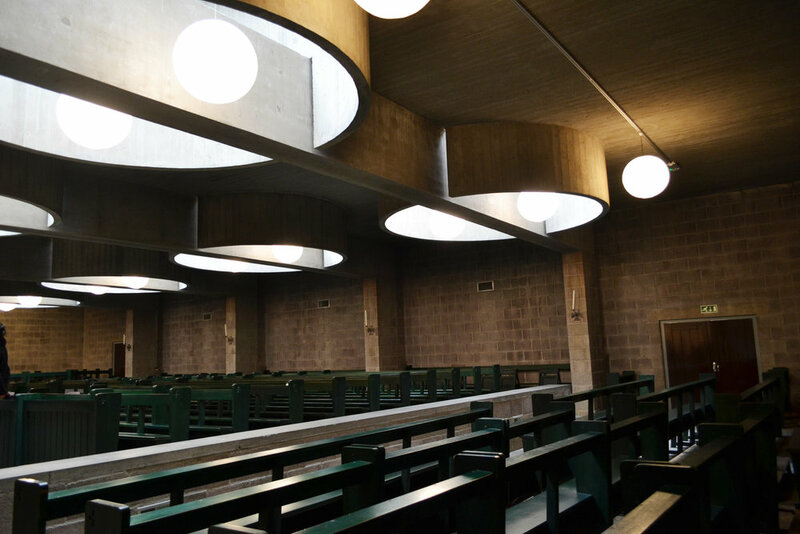 because the architect aldo van eyck wanted to keep people away from feeling "small" inside and used normal sized doors, unpretentious chandeliers and small paintings. ← is this really a municipality building?